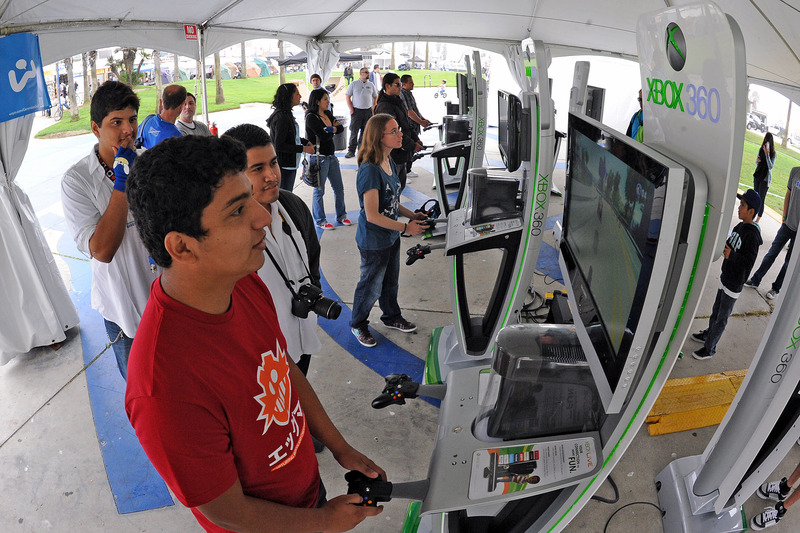 MICROSOFT WAS INTRODUCING ITS NEW XBOX 360, AND WAS LOOKING FOR A UNIQUE AND IMPACTFUL EXPERIENTIAL MARKETING PLATFORM WITH RELEVANT CONNECTIONS TO THE HIGHLY-COVETED TEENAGE DEMOGRAPHIC. 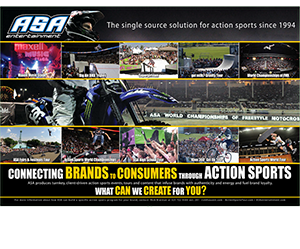 ASA DEVELOPED A HYPER-TARGETED XBOX-BRANDED NATIONAL HIGH SCHOOL TOUR (THE XBOX 360 ANTI-GRAVITY TOUR) THAT FEATURED TOP X GAMES STARS PERFORMING ON HIGH SCHOOL CAMPUSES WHILE STUDENTS INTERACTED WITH THE NEW XBOX 360 GAMING CONSOLES. 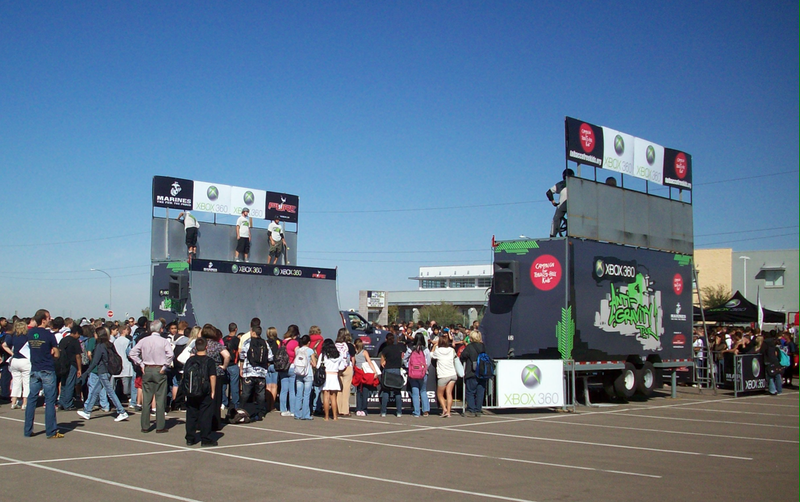 THE TOUR FEATURED 50 EVENTS IN XBOX’S TOP 10 METRO AREAS AND INCLUDED BOUNCE-BACK OFFERS AND RETAIL TIES IN EACH MARKET. A PARTNERSHIP WITH THE CAMPAIGN FOR TOBACCO FREE KIDS GAVE THE PROGRAM AN IMPORTANT CAUSE MESSAGE AND ALLOWED THE STUDENTS TO LEARN ABOUT THE PERILS OF SMOKING IN A PEER-DRIVEN MANNER. 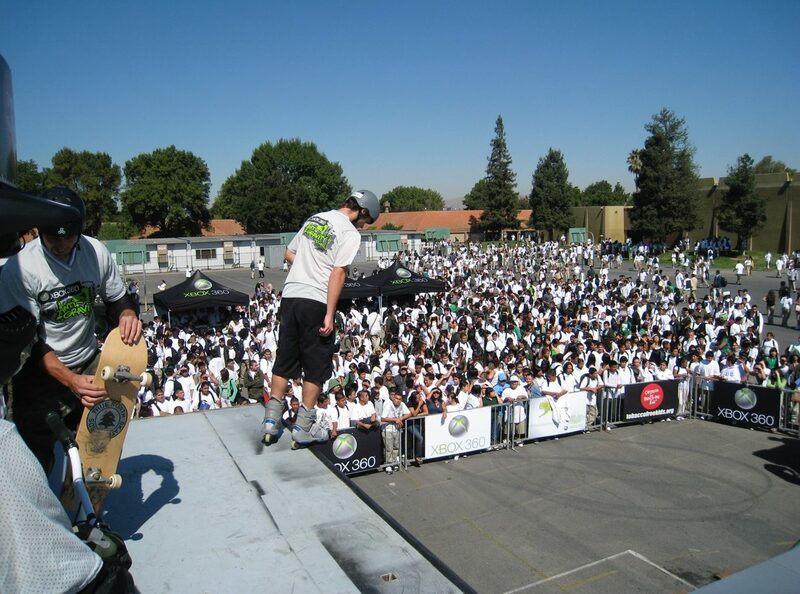 IN ADDITION TO INTERACTIVE XBOX DISPLAYS ON CAMPUS, BRANDED MERCHANDISE, GAME TRIALS, DEMO KITS, SKATE DECKS, AND XBOX AUTOGRAPH CARDS WERE PRESENTED TO STUDENTS AT EACH EVENT.